1) Landis’s statement about the temperatures at 50km is not correct. HAVOC is correct in their analysis, where they refer to the temperature at around 70°C during the daytime. Landis’s reported temperature range might be appropriate for the poles, but then you’re in the polar vortex. 50km is just too low for a Landis-style habitat (HAVOC, by contrast, uses an enclosed, insulated habitat slung as a gondola… much smaller and less appealing, however). However, it works out rather well at about 1/2 ATM in the cold collars, around 70° latitude. 2) We don’t actually know that there is “acid rain” on Venus; we don’t know whether there’s any precipitation in the middle cloud layer at all. The data from VEGA is conflicting on the subject. There are acid mists, like a smog/vog, but their density shouldn’t be overstated; visibility is a couple kilometers and densities are between a couple and a couple dozen milligrams per cubic meter, depending on the layer (US workplace environmental regulations allow *breathing* of H2SO4 mists up to, if I recall correctly, 3 mg/m^3). That said, Venus’s H2SO4 is a higher concentration and there’s also anhydrous acidic compounds. But it’s not like taking a bath in acid. 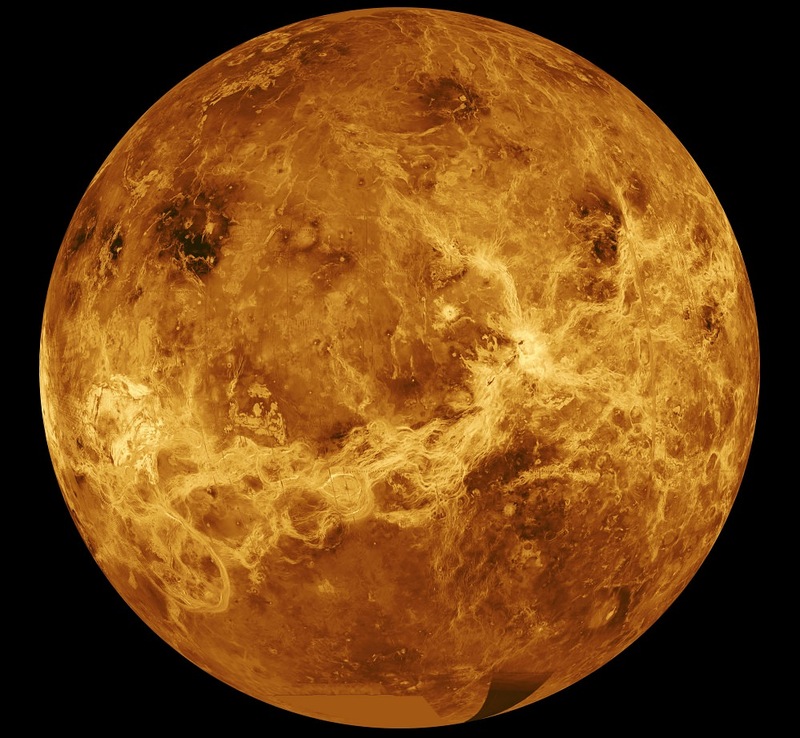 3) Water, in the state of H2O, is indeed nearly absent on Venus. But in the form of H2SO4 droplets, is not at all. The concentration is estimated at 70-85%, so right there that’s 15-30% H2O, liberated by heating. Further heating decomposes…. … H2SO4 into H2O and SO3. SO3, heated further in the presence of a catalyst, decomposes into SO2 and O2. So right there, you have H2O and O2, your two most important resources for life, from a rather simple industrial process. As for collection, there’s a wide range of techniques I could get into, but we really need to get a better sense of the middle cloud environment, answering basic questions like “does it rain?”, “what sort of surfaces will mists accumulate onto and at what rate?”, “what is the exact composition of the droplets and anhydrous compounds?”, etc before we lay out specific designs. But just to pick a random example, habitat thrust could be directed through a dust with a packed bed absorber. … cell (for example, hydrogen-chlorine), you can exploit the high separation factor of electrolysis by plumbing the fuel cell layers as a cascade. Indeed, deuterium could be a potential export product. Robots don’t come into play. The size of the envelope required packs even into a Falcon-sized payload shroud, let alone SLS. The habitat can readily be launched as a preassembled stage, with the transfer stage(s) boosted separately. HAVOC calls for entry by traditional aeroshell, but it probably pays to raise the TRL for ballute capture/entry (HAVOC notes that traditional parachutes probably won’t work for deceleration and ballutes might be needed anyway; you might as well go all the way with it). The real big issue, the one thing that’s unusually difficult with Venus, is return stages. In HAVOC, the vast majority of the mass is the return stage. 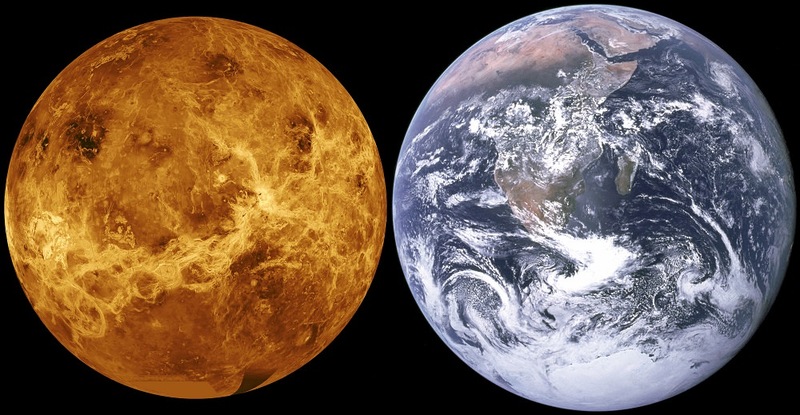 As Venus is nearly as large as Earth, it’s also difficult to get off of. But sending a fully assembled, Pegasus style return stage, as in HAVOC, is clearly not long-term sustainable; you need something that can repeatedly cycle. A SSTO would probably be possible, but marginal, and very likely require a hydrogen-rich fuel, which is production-limited on Venus. Probably a more realistic option is a reusable core stage with simple, locally produced drop tanks. Early on, the drop tanks would need be delivered along with incoming crews, until local production capabilities can meet that need. … cycling to and from orbit is docking. I went through analysis a lot of different variations, most unsatisfactory, and eventually came to the conclusion that there’s really only one that works: having the empty return stage deploy a reusable balloon, and docking to the underside, as was done with the U.S.S. Macon and Akron with small aircraft. A very significant amount of engineering work, but it actually works and provides a dramatically better margin of safety than other options. And unlike the Macon and Akron, you don’t need to dock directly – a drone could make the connections, allowing the two craft to keep their distance until securely moored. Yet another rocketry concern (did I mention that’s the really big issue? 😉 ) is abort scenarios. On Earth, you do a test firing first; then on the day of launch, you do a hold down to make sure all systems are nominal, then release. None of this is workable with a rocket hanging right next to an airship. There is however an abort option, if you budget the mass for a large winch and several hundred meters of cable: drop the rocket while attached to the winch, up to near its terminal velocity, then fire the engines. If everything is nominal, detach from the winch, angle away from the habitat, and ascend. In case of an abort scenario, shut off the engines, brake the winch to a stop, and reel the rocket back in. Keep in mind however that you’re looking at a rocket that’s at least tens of tons in mass…. Well that takes care of everything _I_ was going to say… ^_^ Thanks, karenrei! I assume that since we’re trying to reflect heat back to space, you want something with a high albedo, rather than a low one?But Venus’ albedo is already pretty darned high, which means it maintains its heat balance despite reflecting the lion’s share of TSI back into space (per Fraser’s article on the subject here [http://www.universetoday.com/36833/albedo-of-venus/], and a short-sweet discussion of the principle here [http://astronomy.swin.edu.au/cosmos/A/Albedo]). I wonder just how much we can realistically expect to increase the cloud deck’s already high reflectivity with just a few hundred, or even a few tens of thousands of square meters of ~100% reflective material? Personally, I’m still a fan of using a giant solar shade orbiting at the Sun-Venus L1, to induce a near constant total/annular eclipse, and letting Venus’ albedo take care of the rest. Better review of words used to describe technical things is in order in Terraforming Venus. For instance: The word is “apposition” NOT “opposition” when intended to describe nearness. Apposition – the positioning of things or the condition of being side by side or close together. Opposition: resistance or dissent, expressed in action or argument. I believe the context of the paragraphs intends to describbe high reflectivity and the word “high-albedo” should have been used..
Skadi Mons are located at 64° 0? 0? N, 4° 0? 0? E?in Venus. 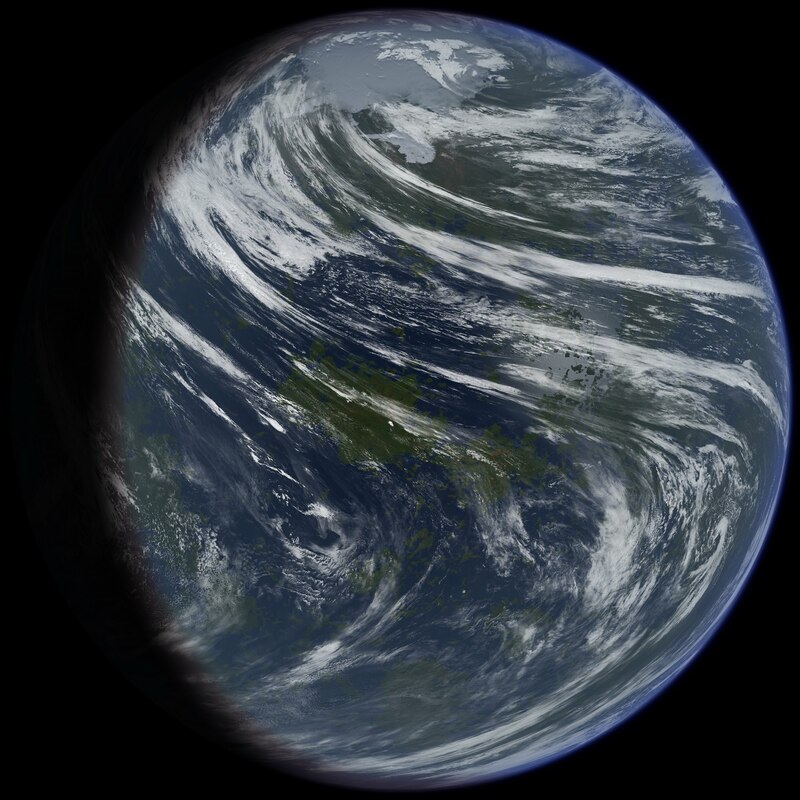 At 10k meters above the mean planetary radius and higher latitude above the equator, the peak of Skadu Mons might make the surface accessible by at least unmanned probes assuming that at higher altitude, latitude and at night time the temperature and pressure at the peak is lower(how much?). Anchoring to this mountain would provide a fixed location for the settlement so that resupply ships can find the settlement. 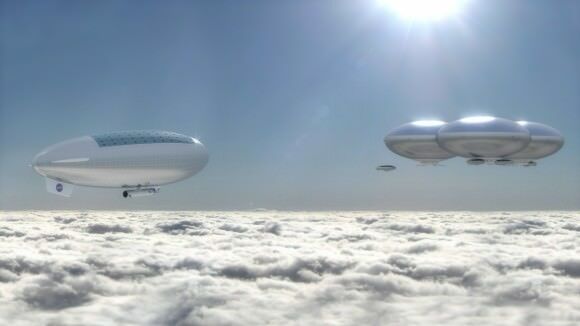 It would require a 40 to 50 kilometer cable for the anchor which do not have to hold its own weight if the cable if partially lifted by aerostatic balloons at different altitudes. The cable could be made by stronger nano-carbon materials also. I am not an expert on the technologies, so I post the ideas here hoping that some one can help me evaluate them, or provide more insight. Thanks. As WE (the infallible homo sapiens sapiens) have managed to slowly destroy earth with many of its species, it is ample time to look for habitable and/or transformable planets…. and not make the same stupid mistakes we have made here. Earth has reached a point of no return. The really bad things will not happen in my lifetime, but surely pose a problem for later generations. We must therefore start right now to look for intelligent ways to Terra-form Mars and Venus, maybe find a way for parts of Mercury to make it livable. At the same time scan the heavens for earth like planets in the vicinity. Robotic probes should be sent out to those systems chosen. Replace the word “colonize” with “infect”. Only if you consider yourself a pathogen. Previous PostPrevious How Cold Are Black Holes?